How to teach emotional regulation with ALL students - All Things Special Ed. 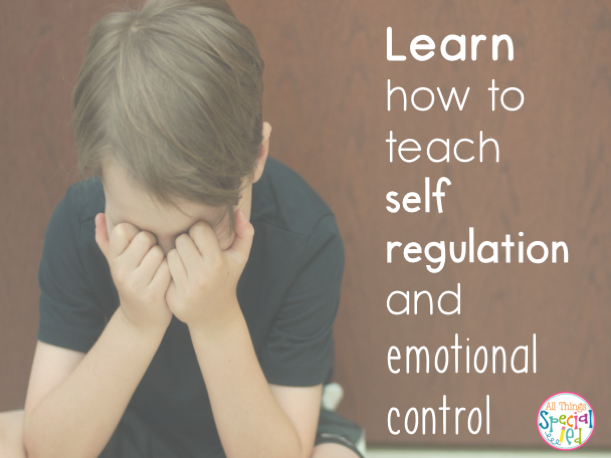 Whether you are a special education teacher (OT, PT, S/L, Counselor) or a regular education teacher, you will come to encounter some students who have a difficult time regulating their emotions and learning self control. We work with many students who have self-regulation difficulties (ADHD, Autism, Learning Disability, Behavioral Challenges) that could use explicit teaching in regulating and controlling emotions. 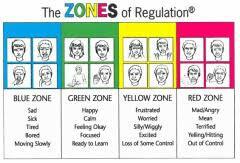 The "Zones of Regulation" is a curriculum that I use to teach students to recognize what "zone" they are in by using a diffident color code to help visually match their emotions. Be used with preschool aged students through adulthood (ADHD, ASD, Behavior and Learning Disabilities ect). 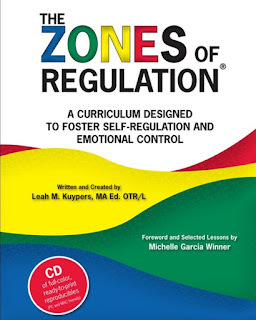 This is a curriculum to help students regulate and learn to control their emotions, lessons are provided in the book. Lessons can be taught to a whole group or one-on-one. This can be taught by anyone who works with students who struggle with self-regulation. The zones is a framework to use to teach students self-regulation. It can help to categorize the different feelings one feels. Its a way to communicate in safe way how the "student" is feeling and to use the tools or strategies to help them move between the zones. examples: sad, tired, sick, or bored. Green Zone: this is a regulated state of alertness, this shows the body is in control. 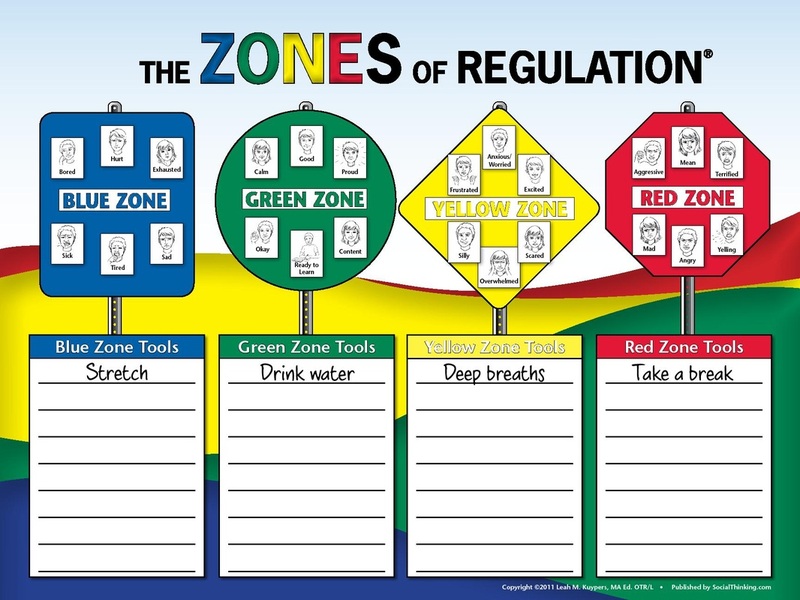 When introducing and starting the "Zones of Regulation" the child should be provided a chart that is accessible to them in all settings. It can be easy to point out a yellow or read state so make sure you practice and use reinforcement when the student is in a green or blue state. I like to ask the students periodically throughout the day which zone they think they are in and then I will share with them what zone I think they are in. It is good to teach the student(s) that it is okay to be in a zone that is not green. We all have emotions and are certainly as adults are not always in the green zone. IT is what we do with that information when we are not in the green, ready to learn/work, zone to provide stages and tools to get them back in the green zone. 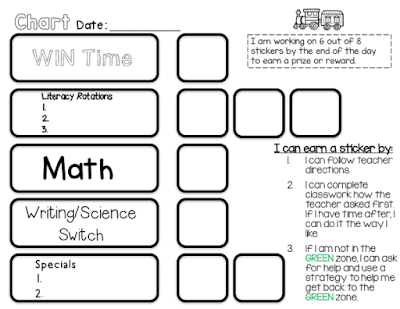 (If you search Teacher Pay Teachers for the Zones of Regulation, you can find some great tools for students to use and have on hand when they need to pick a strategy to get back in to the green calming zone). The book provides sequential learning lessons to follow as well as provides differentiation based on the age of students. Some lesson examples are creating posters of the zones, zone bingo, understanding different perspectives and many more! 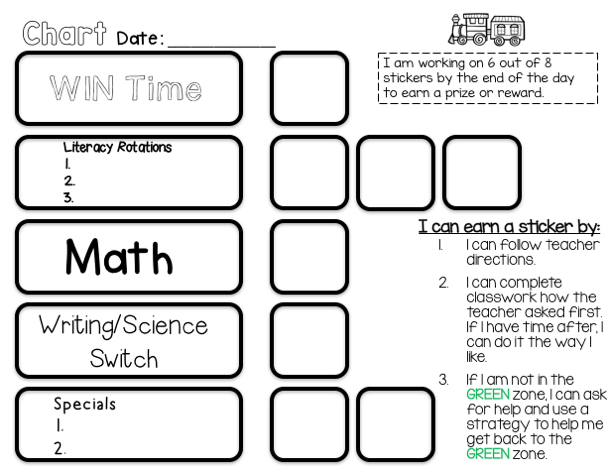 An example of what I used with a first grade student with autism using and learning the Zones of Regulation was create a daily chart with different blocks/sections of the day. The student could earn a sticker if he followed his 3 goals. I specifically put on the chart that if he was not in the green zone, he needed to pick a strategy to get him in the green zone. That way he could earn a sticker even if he was having a difficult time with his emotions. For him, his emotions didn't necisarly match the problem. He would have small difficulties that could be fixed but he would start crying and having tantrums. This helped him to practice straggles when he would get frustrated and to realize all the different emotions he was feeling. He also had to be taught that it was OK to not be in the green zone but learn what to do when we needed to get to the green zone to learn at school. Here is an example of a chart I made for him. There are also a few apps that go along with the Zones of Regulation that are not expensive so don't forget to check those out as well! Published by: Think Social Publishing, Inc. Thanks for sharing this are such an extraordinary useful resource that you are offering and you supply it away without spending a dime. I love seeing weblog that recognize the price of offering a first-class data totally free. If you want writing tip then go to hire Best essay writing service for college you may get higher help right here.